The Seac Banche Orion Zeta is designed to simplify the processing of cheques and other documents at the point of presentation. 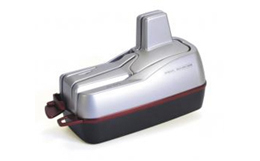 This unique reader scanner is the logical development to provide the functionality and performance normally found in devices too big for modern teller positions in a unit with the same footprint of a check reader. Drastic reduction of moving parts remains a big feature of the NexGen 5. The reader boasts mechanics unmatched for silent operation, speed and reliability, guaranteeing maximum workstation productivity with minimal human intervention, thus saving valuable time and administrative costs. 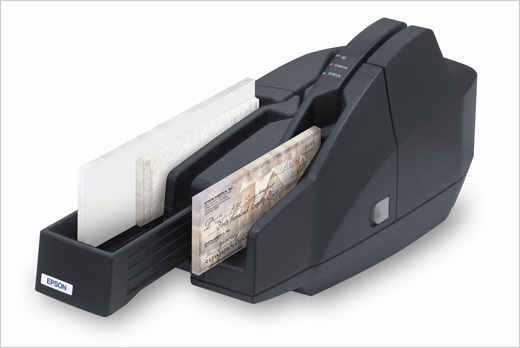 The easy-to-use Orion brings to the quality of image capture and read performance of the SB 1500 the benefits of additional flexibility and automatic feeding, allowing tellers to devote their attention to the customer rather than to manually feeding the documents. This capability is particularly valuable when transactions with several cheques or documents are presented. Physical dimensions 10.2 x 4.7 x 7.1 "
ADF Feeder Paper Size Width. 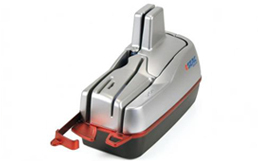 2,76 to 8.86"
ADF Feeder Paper Size Length 2.05 to 4.17"
The document autofeeder can hold up to 35 standard documents and more documents may be added without interrupting the flow (on versions including unlimited feed capacity). 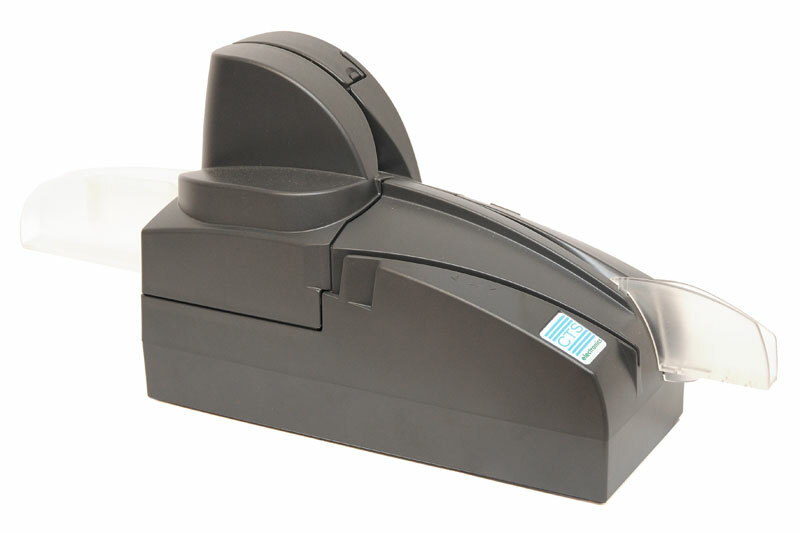 To ensure that only one document enters the paper path at a time, a double feeding photosensor (transparency check) is positioned immediately after the feeder.  The unit's MICR reading functionality decodes both CMC7 and E13B magnetic codelines. Reliability of the system is undisputed, based on the experience of thousands of Seac Banche codeline readers installed worldwide. 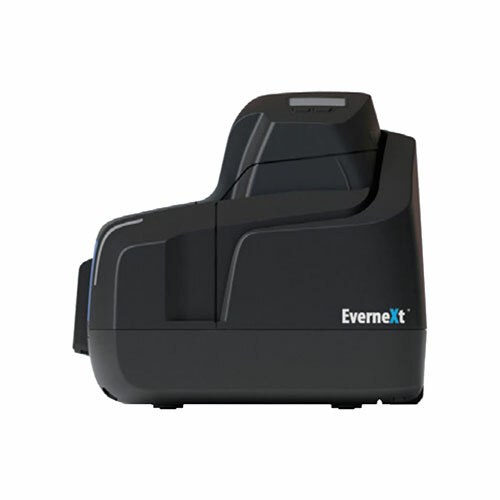 The proprietary onboard decoding system for OCR documents can read OCR-A, OCR-B and E13B codelines and the UK Bank Giro mixed font (OCR-B X E13B) from the document image with outstanding accuracy and reliability. An enhanced package (Decoview) extends OCR and barcode decoding on multiple image snippets. 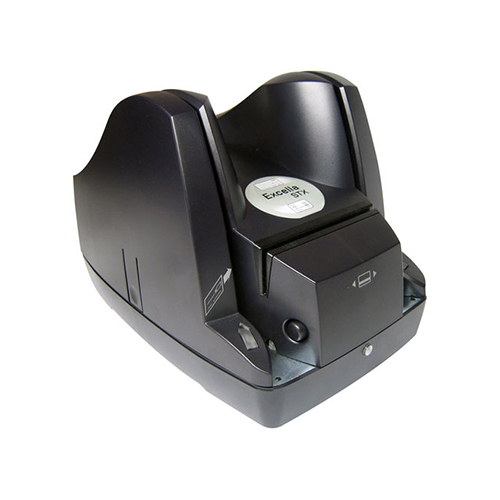 A dedicate optical read head (HDB) is available an option to tackle particularly dense barcodes in codeline position. The Orion uses the most advanced technology available on the market for low-cost, high-performance image capture. The system allows for perfectly clear and sharply defined front and rear images of a document to be captured in a single pass and to be compressed/saved in up to two formats (renditions) each. Images can be used to provide input to OCR/ICR character recognition systems, as well as stored for archive and retrieval or transmitted to the bank as an alternative to the physical document where allowed by legislation and infrastructure. Resolution can be selected via application software, independently for front and rear images, as well as green or red light source (the latter showing red dropout images), greyscale or colour scanning. 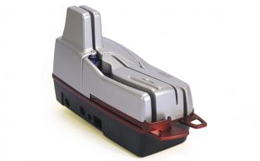 The optional self-inking front stamp can be used to void documents, while the programmable inkjet endorser can print a variable string of data on the rear side of the document. Voiding and endorsing are controlled by the application. Digital endorsement is also available as an option, adding up to 4 lines of text and/or graphics directly on the document's rear image - which can then be secured by digital watermarking.